It was a long and exciting weekend for us! 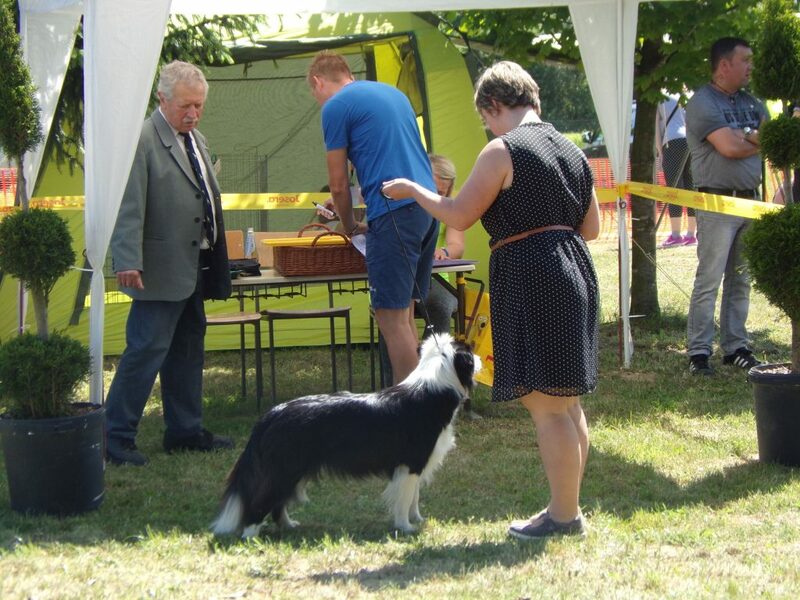 We talked to Móni and Évi and decided to enter the dogs for the Bjelovar and Koprivnica CAC shows. While Gábor had to go for a party we traveled with Évi to Bjelovar, while I had no car on Saturday. I had to thinking forward in this way, so Chelsea went to be groomed on Thursday and Naja on Friday morning. 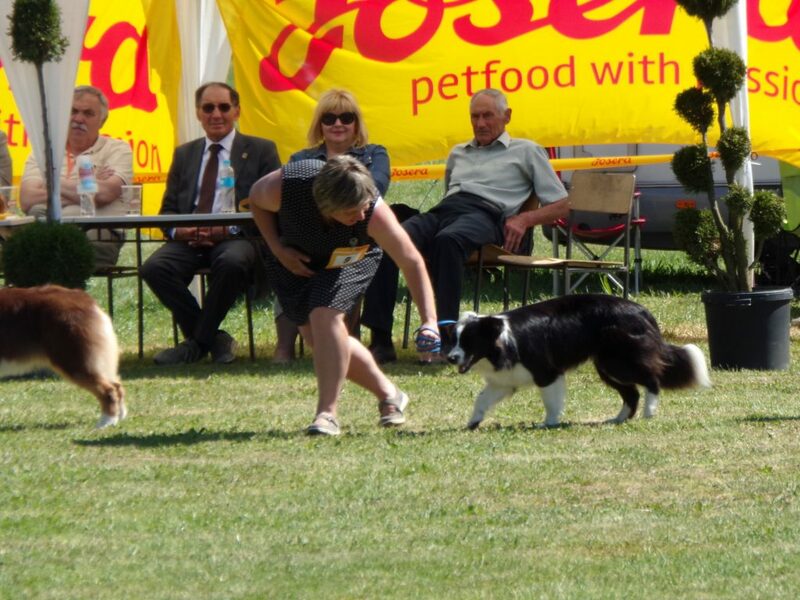 Our professional groomer Eszter had to travel to Porec, because her daughter danced at the world championship. Then I looked that I do not have enough EURO at home, so I had to go buy some. Lucky my aunt always has some friends to help. Thanks Kati. On Saturday we have started at 7 in the morning. On the border we had to wait, luckily there were any cars before us. We arrived to Bjelovar in time, Naja was balanced and calm. The show was held in a hall. There was hot and no air with no big trees outside. Naja was perfect, stand calmly. To tell the truth it was a surprise to me too. I always admired this little girl, I like watching her movement, her angulations, the balance she has. She is simple perfect. 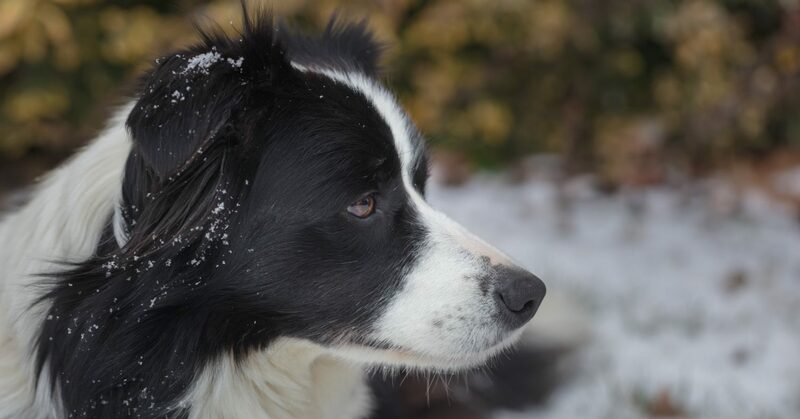 The female border collie I have always dreamed about! When we went to mate second time Femi to Duke we took Naja with us to show Kerstin. 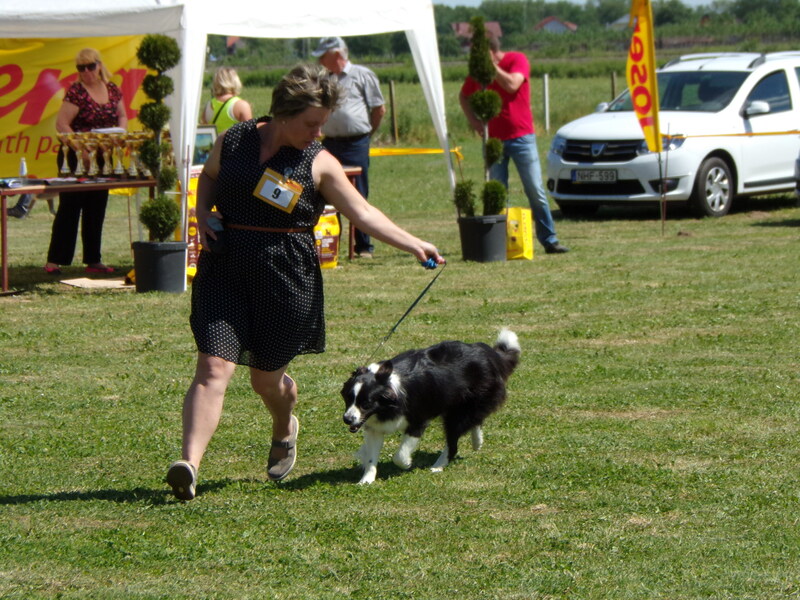 Kerstin is fanatic about shows and has seen thousands of dogs showing, so I was interested in how she look Naja. She said, wow, she is perfect. She asked, why do you not show her? I said, she is not ready. 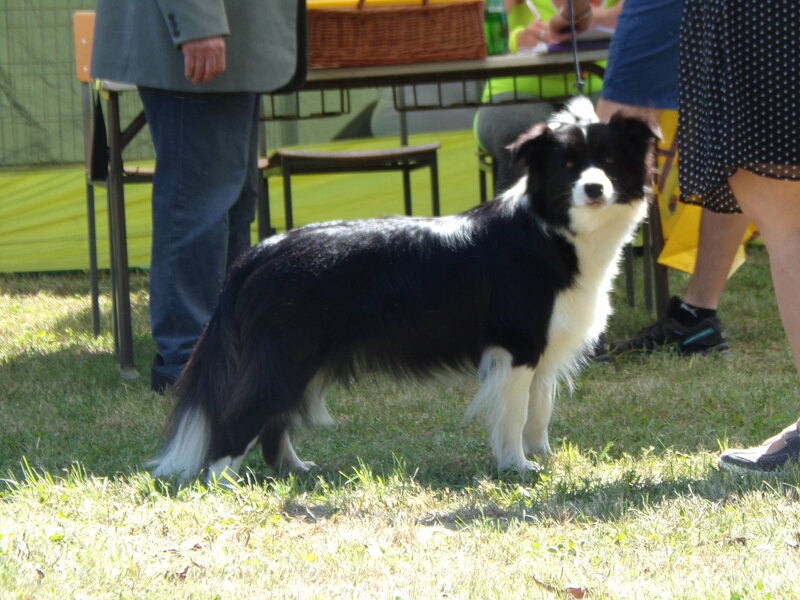 I have entered to the club show in March, but we made a big mistake, she was totally out of hair and she was handled by my husband. I should have handle her then, too. But in spite of this she got perfect critic. Naja is my dog. She is the dog, who always want to be close in touch with me. Who wait for me before I let her out in the morning. She want a little touch and love from me every morning. While we were practicing and walking, jogging together I was feeling she is ready now. I started to believe in her and stepped in the ring without any stress or upset. She is 17 months old now, so I could enter her into juniors, too. I entered her in intermediate . To tell the truth I thought, that Chelsea has the chance for the BOB. Like she has stronger bones, 3 years old matured female. But the judge gave the BOB to Naja. She liked her very much. I regret that we can not stay for the BIS, but I have decided if we repeat this on Sunday we will stay. Naja did great job next day, too. She got the best critic and won CAC and BOB again. Chelsea got CAC both days, too. The sun was shining and very hot, we keep the dogs resting, gave them a lot of water to keep them cold down. Luckily our tent was in shadow all day. 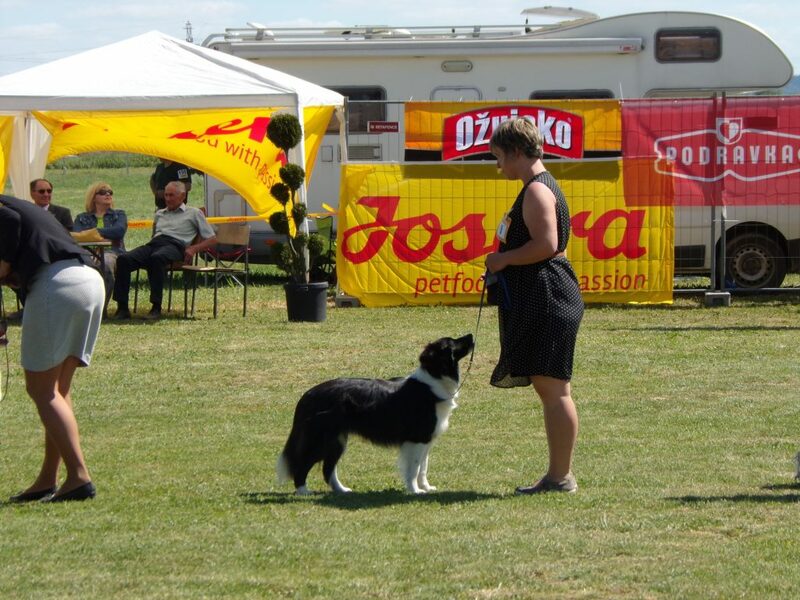 The BIS stared 2 in the afternoon, Naja started to be under motivated, but I succeed to catch her up in the pre-ring. 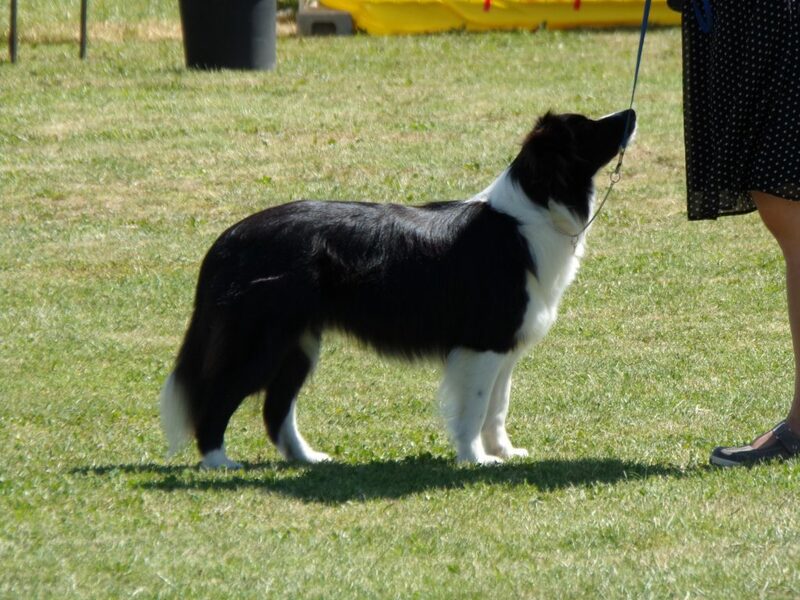 When we stepped into the main ring she moved as a super star. I saw that the judge looks Naja and always came back to us, so I felt, if we do not do any bluntness, we can reach a good result. Naja is the DOG, she feels what I am thinking on. She did not give her tail up, moved perfectly, watched into my eyes. She did such perfectly like we would spend every weekends on shows. 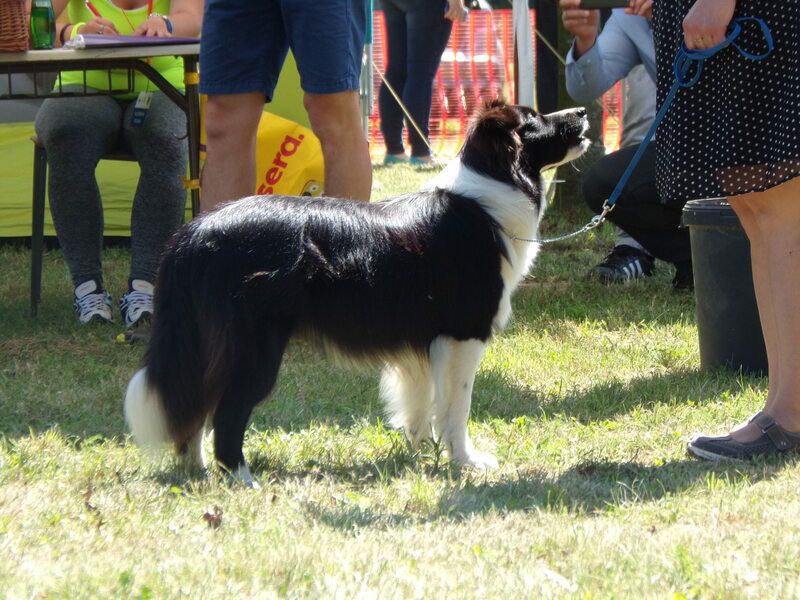 Then we got into the best dogs…big air took out, calm down told to myself. We had to run one more circle. 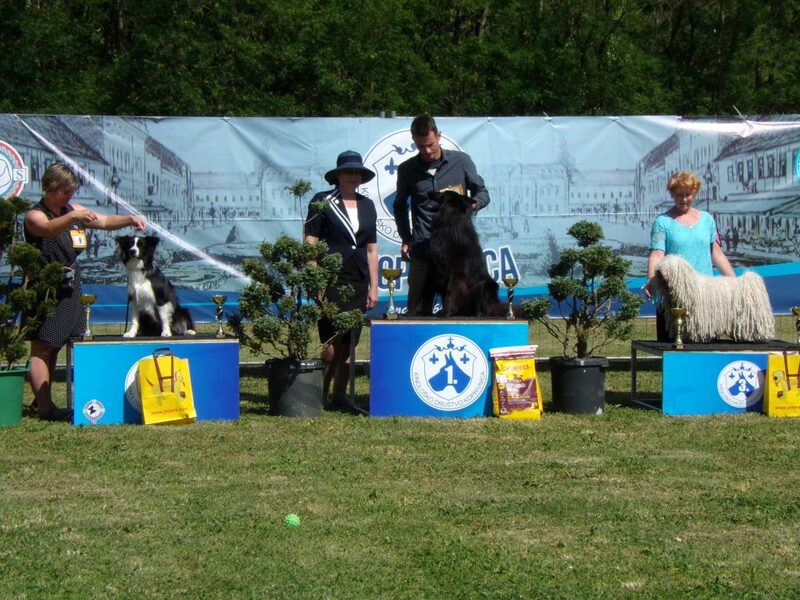 The beautiful white puli got the third place., who is a Hungarian owned and bred dog, too. 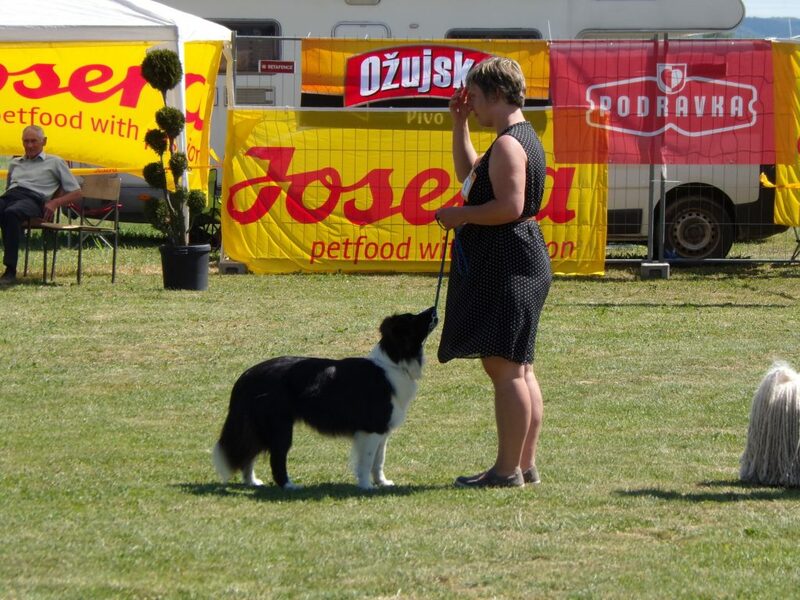 Then Naja won the res Best of Group FCI 1. at only 17 months of age. The BOG went to the gronendael. I am totally satisfied with this result. It is more than I was dreaming about. She got 2 x CAC, 2 x BOB and BOG2 only one weekend! The we had to drive to home because Viki and her family to watch the puppies and choose their new family member. So little Oreo has found his new home. On Friday we will go to the vet to examine Chelsea. We will see…I hope there will be some puppies inside.